Conveniently sized and easy-to-train, Beagle is a peaceful pet. The friendly nature and appealing expression are the reasons people consider Beagle as an excellent pet. It is a popular hunting hound. 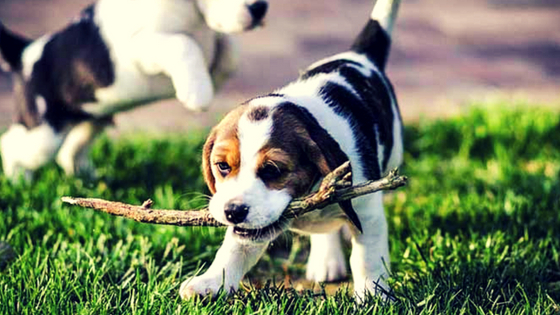 Canine experts believe that Beagle needs more physical activities than it usually receives. Typically, Beagle has two varieties, and both differ in their sizes. Both are big, solid and sturdy and come in various pleasing colors such as tricolor, lemon, and white. The long, soft ears and hazel eyes are the prominent defining attributes of this friendly dog. Beagles are companionable and loving breed. The combination of these qualities makes these dogs fantastic family dogs. Plus, they are the best scent hounds and have got an exceptional sense of smell. With a highly active smelling sense, beagle can smell the food from a long distance. The dog uses these enhanced trailing abilities to hunt rabbits and other small animals. Beagle has a big appetite that often turns it into an overweight hound dog. If you want your dog to gain healthy weight, it is important that you strictly monitor its food intake. Moreover, feeding your dog in new ways will help you keep its hunting skills engaged. A 25 to 35-pound beagle requires maximum 922 calories per day. You can adjust this recommendation according to the size and activity level of your pet. The food choices for your Beagle must have well-balanced nutrients. Dry dog food is a good choice that also keeps beagle’s teeth clean. You can also give Beagle commercial dog food during the day for its healthy growth. Grooming a Beagle is much easier than grooming other breeds. As hair shedding is seasonal in this breed, you can consult a professional dog groomer to find some easy tips for grooming it. Beagles have a dense smooth coat that becomes heavier during winters. Weekly brushing with good quality metal brushes is a way to remove unwanted shedding hair. Plus, a beagle requires occasional bathing, unless it gets into something messy. You can learn more about Beagle grooming from the American Kennel Club. There is no denying that proper exercise extends your Beagle’s life expectancy. 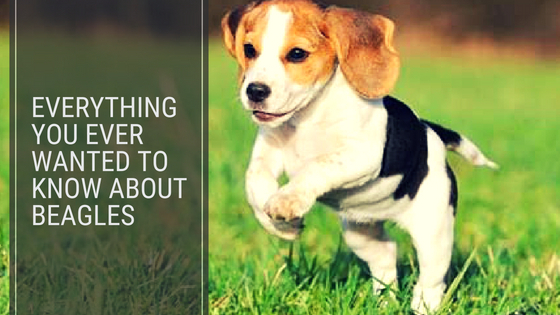 You do not need to put efforts to get them engaged in different exercises as Beagle is naturally energetic and active. A Beagle needs at least half hour of purposeful activity every day. Moreover, leaving Beagle unattended for a longer period can be destructive. It is an escape artist and can be easily distracted. With a powerful hunting instinct, Beagle finds it difficult to resist an urge to escape. Walking, jumping and recommended cardio exercises are some good ideas to keep your pet busy. Beagles are good trainees. They respond well to early socialization activities and training sessions. Treats can help you shape their behavior as they love food. You have to be patient and provide sufficient companionship to train them. Be creative with your training techniques and try some positive reinforcement during training. Like all other breeds, cleaning and checking a Beagle’s ear on a weekly basis is essential as the long ears may develop bacteria due to their shape. Plus, make sure that you brush your pet’s teeth regularly to keep oral issues at bay. Yes - beagles are a great choice to have as an ESA Animal. Their small size allows them to travel with their owners easily, and their friendly temperament makes them great therapy dogs. You can make your current (or future!) beagle a legally recognized emotional support dog easily online. As an active breed, Beagle is a cheerful family companion. It has an exceptional smelling instinct that makes it a great scent hound. Easily groomed, Beagle’s dense coat needs minimal care. The dog needs a good exercise routine to pent-up its energy.